After graduating from her BCom at the University of Melbourne in 1996, Kerri Turner worked her way up the ranks for 16 years at Ernst and Young, before taking the plunge to start her own business - Tinitrader. In 2013 Kerri joined with the founders of Bike Exchange to launch Tinitrader - today a successful online marketplace for kids’ clothing and accessories. 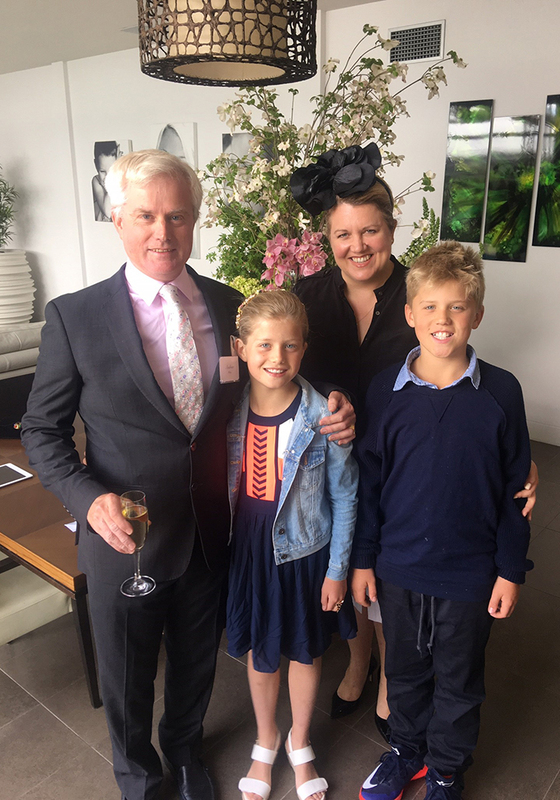 As well as still having an equity stake in running Tinitrader, Kerri is a consultant with Deloitte, a Director at the Malthouse Theatre and has a busy family life with her husband and 10-year-old twins. How did Tinitrader come to life and what is it all about? Kerri Turner with her twins Charlie and Annabelle. Tinitrader came about while I was a director at Ernst and Young. I met the founders of Bike Exchange and ended up going into partnership with these guys to white label the product and go on to create Tinitrader. Later these businesses were rolled up into a business called Marketplacer with multiple marketplaces in different industries. We wanted to create an online marketplace where parents could find everything they were looking for, for their children. Rather than going from website to website, they can now go to one place and shop for everything for their kids. In days gone by you might have looked at something in a magazine, but then it was tricky to find that product in real life. On our sites you can shop the look. For example, if you want to create the perfect Scandinavian nursery, we will show you what that looks like and give you the products to create that yourself. In four years, the business has certainly grown. We have 250 plus sellers, and around 30 000 products on the site. Rather than quantity, more and more the business is about finding the best products. You are also working as a consultant with Deloitte for the Department of Industry, what does that involve? Using the knowledge that I’ve gained to be able to assist other businesses is really interesting. That’s why Deloitte and the Department of Industry have brought me on-board. It is fantastic running your own business but we’ve got Tinitrader ticking along now and we’ve got a really great team. I do like the variety that I get out of consulting – it’s very dynamic, I’m always working on something different and new, and working at a very strategic level. The businesses and people I am coming across are driven and inspirational. The work I am doing on behalf of the Department of Industry is really helping drive growth in this sector. Businesses apply to become part of the Government’s Entrepreneurs Program and basically if they meet a certain criteria they get consulting services from somebody like me. So I go and work with that business over a number of sessions and come up with an action plan, and then work with them over the course of the year with implementing that plan. What are some of the key things you have learnt from running your own business and what tips would you give to other women looking to do the same? I have learnt about the importance of teams, getting some really good people around you and finding out who within your team has a great 'business owner' mentality. There are people who will go through the motions - I call them worker bees. They turn up and do their job. They don’t necessarily take responsibility, they don’t step up and think outside the box. And then there is the occasional person who comes along and it’s not just about them - they think more broadly, they think about the business. It’s also important to find really great people to go into business with to learn from and share the knowledge. You’re doing everything on a shoe string initially. You have to be resourceful and be able to call on those people who will really help you. It does drive me crazy if women want to step aside from a corporate role and think ‘I’m going to start a business, that’ll be nice, I’ll have more work-life balance’. This path is tougher - not easier. Don’t start a business as a hobby - do it because it’s properly thought through, there is some substance there. Absolutely go for it – but go into it because you’ve got a solid business case. Running any small business is not a hobby. It can be incredibly rewarding but it's most definitely the riskier path. 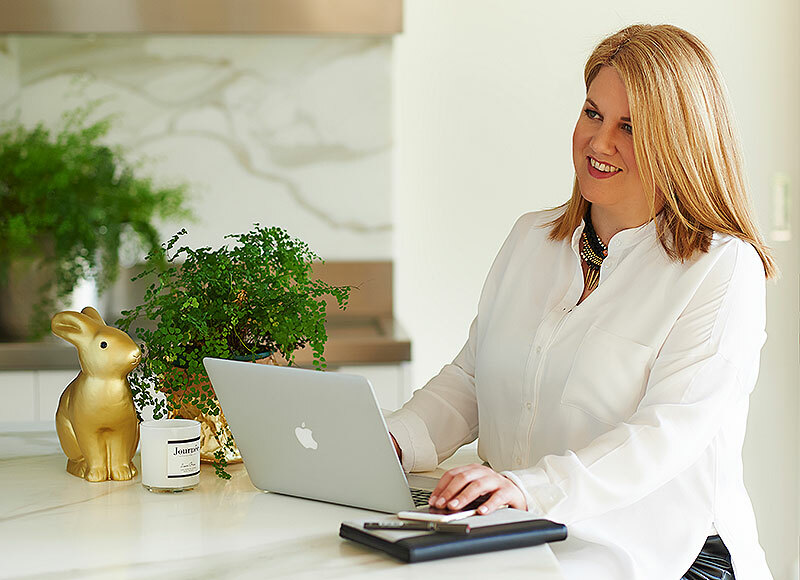 As well as running a business, being a consultant and having an active family life, you’re also on the Board of the Malthouse Theatre. How do you juggle so many commitments? I do have an incredibly supportive family. I once heard somebody say ‘choose your partner well’ and that is very good advice. At the end of the day life is busy and complicated and having a partner who is supportive is imperative. I went back to work relatively quickly after having children. My twins were five months’ old when I was working and finishing an MBA and I was running around like a crazy person. Some days things went off the rails and the house was like a bomb hit it, and other weeks went more smoothly. As a family we put in place a terrific support structure including a nanny we couldn’t live without. I’ve got incredibly sporty kids, so I’m trying to participate with that as much as possible. I manage my daughter’s basketball team, and my husband manages the football team.Having a partner who steps up and does his fair share is a non-negotiable (for me). I always feel frustration when I see hard working educated women working full time and also taking the primary care giver role with limited support from their partner. This is a really hard thing - to take on both roles - and often this means that they take a step back in their career. Why aren’t women coming up the senior ranks? It’s because women stand aside and take the primary care giver role. There are big corporations which say they support their female employees but they are kidding themselves. When women step-aside from senior roles and take a few years out (which should be a choice that is available to them), they’re off the (career) ladder, that’s it. It is then nearly impossible to step back onto the ladder. It’s incredibly short-sited for companies to behave this way when careers are long and these women have more to offer than ever. Also, many companies don’t support part-time – so women coming back from maternity leave try to work five days in three. It’s incredibly frustrating. Melbourne is a really conservative place and being a ‘Stay at Home Dad’ is not seen as a credible role for men. In cities like London and New York, this is seen to be a far more credible path. I spent a great deal of time when my children were young justifying why I worked. No one ever asked my husband to justify why he worked! We need to support working women more or we will never have equality in the workforce. How have your two degrees from the University of Melbourne shaped your life and career? 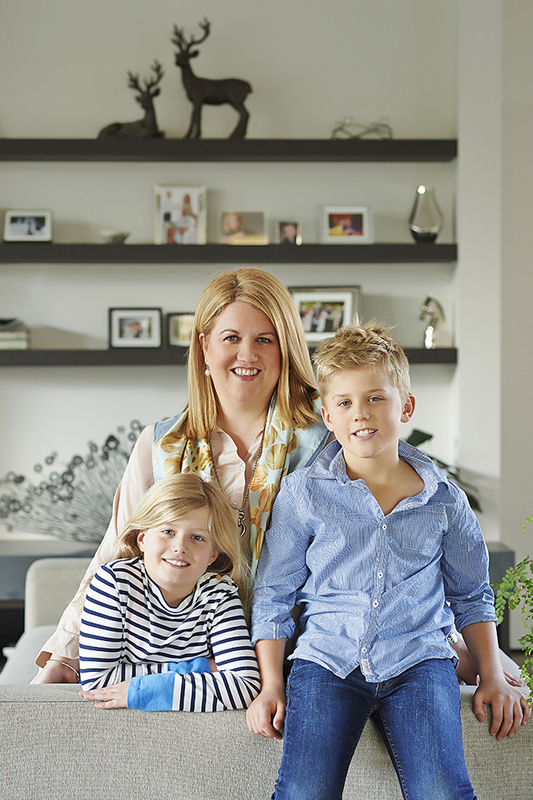 Kerri with her husband Andrew White and children Annabelle and Charlie. I came from the outer edges of Melbourne and I look at pre-university and post-university as two very different parts of my life.I lived a pretty sheltered life, not a very city life. When I came to Melbourne Uni, it just blew my socks off, I couldn’t believe it. I loved it from the minute I got there - it opened up a whole new world for me. The network of people and the content was great but for me it was much more about the experiences. After Uni I went to Ernst and Young as a graduate. My degree gave me opportunities that I just never would have had in another circumstance. I then had the opportunity to do an MBA while at Ernst and Young, and again I have an amazing cohort of friends and colleagues that I have off the back of that. I really can’t speak highly enough of those opportunities. I strongly advocate for a university education. For me I love Melbourne Uni, it was incredibly important and gave me an entirely different life.